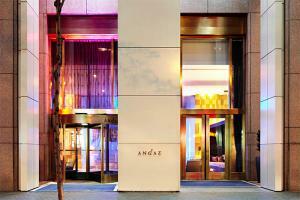 Experience Lower Manhattan's renaissance at Andaz Wall Street-a concept by Hyatt. The hotel provides a kaleidoscope of local culture that offers you a Lower Manhattan hotel stay unlike any other. Every detail and every moment, from the cutting-edge guestrooms to the authentic farm-to-table cuisine, are designed to give you a genuine and intimate New York experience.